Pressero is a complete, full-featured e-commerce solution that enables you to sell all types of products, including static, custom, print-on-demand, designed online and inventoried items to consumers, businesses and organizations. Easily create a private storefront for your business customers and organizations. Each customer storefront can be branded, using a customer specific URL, logo, color scheme, page layout and product catalog, with pricing, shipping, payment, and approval options tailored to their specific needs. Use Pressero to open a high-end retail storefront with your URL, your branding, your logo, your color scheme, your products and services, etc. Customers can browse, get pricing, add items to their cart, customize and design products, upload files, order custom printing, select shipping method, and pay for their order. Pressero includes the eDocBuilder online designer. 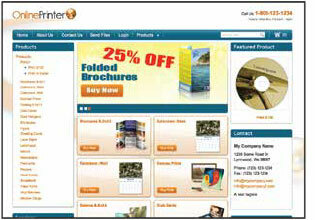 • Wide format, stationery, brochures, labels, etc. Using eDocBuilder, your customers can quickly and easily customize, proof, and approve documents directly from a web browser. 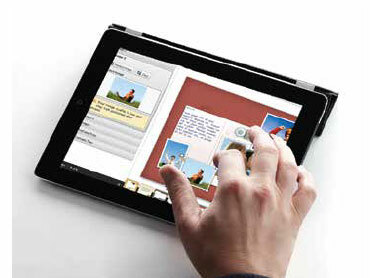 Text and image editing, barcodes, number sequencing, imposition and more are supported. The powerful eDocBuilder system is also available standalone for use in another e-commerce system. Pressero was built with Search Engine Optimization in mind. Use our built-in tools to help maximize your online exposure and search engine rankings. Pressero plans are offered as a one-time payment plus a flat monthly fee, or a 12 month contract with no one-time fee. Upgrade from one plan to the next by paying the difference in the price. Pressero has one of the highest Returns On Investment in the industry with a conservative ROI analysis showing net savings of $10,000 or more for year 1.